Malta’s migration politics has reached a new level of irony that unashamedly ridicules the desperate plight of refugees losing their lives at sea. The recent news that Libyan business representatives will be granted temporary visas to come to Malta to conduct business flies in the face of EU-wide calls for safe and legal access to protection for refugees. 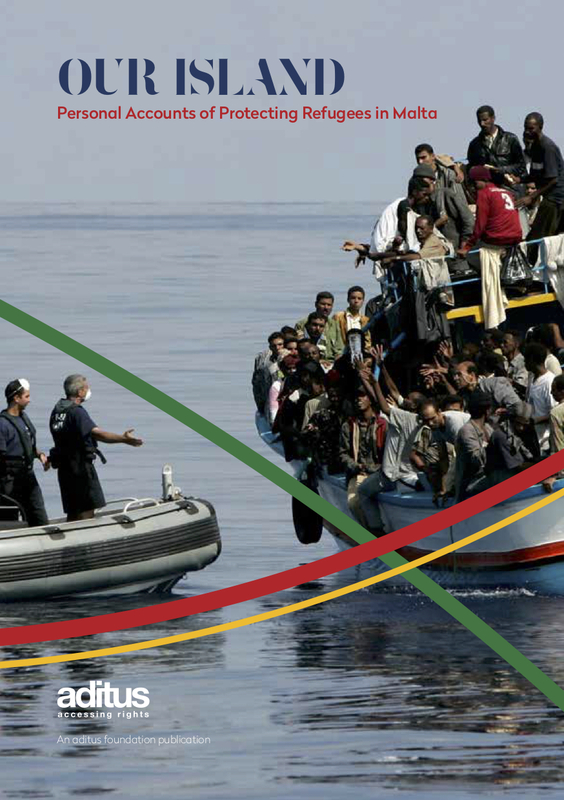 Together with Malta’s Individual Investor Programme, this is yet another message Malta is choosing to send to the world: “if you are a rich migrant, the red carpet will be rolled out, whilst if you’re a refugee it’s either Italy or detention”. In principle, we have no objection to this new scheme as it has clear economic advantages for the Maltese and Libyan economies, thereby potentially improving the lives of persons and communities. It could also represent a legal and safe way for some refugees to access Malta’s asylum procedure. Yet whilst the Government discusses and implements this scheme, we continue to receive urgent requests for assistance from Libyans, Syrians and other persons outside of their countries due to wars and persecution, yet they are unable to move on and unable to return home. The refusal of Malta’s and other EU Member State embassies and representations to grant humanitarian visas to these refugees remains one of the key factors pushing them onto boats to attempt to cross the Mediterranean. “When we’re asked, ‘which embassy will give my family a visa to come to safety?’, we know there is very little we can say or do. It’s terrible, because we know what usually happens next: a floundering boat packed with men, women and children becomes a very expensive visa, with little guarantee of safe arrival.” (Dr. Neil Falzon, aditus foundation Director). Once again, we strongly urge the Maltese authorities to consider translating the logic behind this new temporary visa scheme into humanitarian action with a view to granting refugees safe and legal access to Malta. The statement is downloadable here (.pdf). 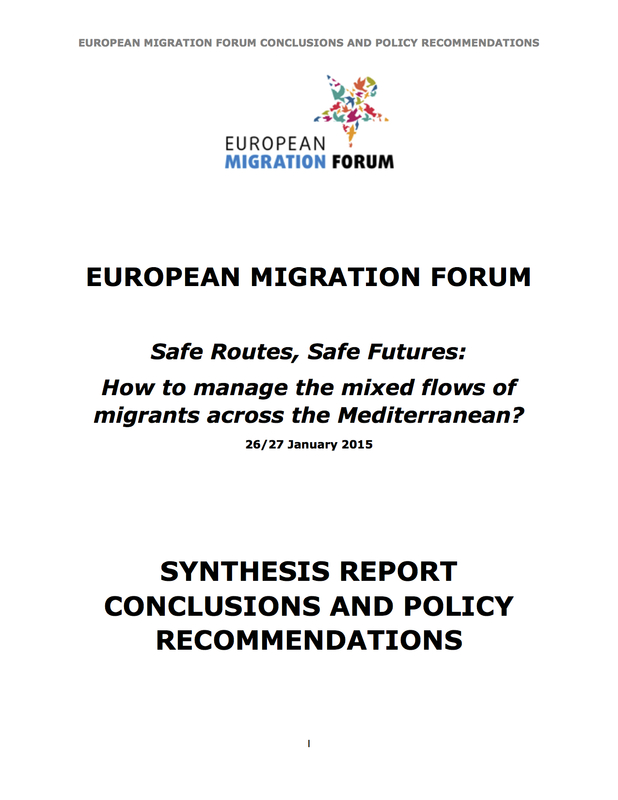 On 30 January we reported our Director’s participation at the first ‘European Migration Forum: Safe Routes, Safe Futures: How to managed mixed flows of migrants across the Mediterranean’. During the Forum Neil delivered a forceful presentation on the human rights challenges the EU should be considering in its discussions on the Mediterranean and access to territory and protection by migrants and refugees. In his presentation Neil also made an urgent appeal to the EU to stop ignoring civil society organisations, and to stop treating them exclusively as service-providers filling the gaps created by Member States’ attitudes towards migrants and refugees. respect for the rights of undocumented migrants, the decriminalisation of migration and of humanitarian assistance. We’re happy to have participated in this Forum, and honoured to have been invited to present our views from the ground.